U.S. and North Korean officials are pressing ahead with efforts for a possible summit between U.S. President Donald J. Trump and North Korean leader Kim Jong-un, though both sides appear far apart on goals for the meeting. In particular, the flurry of diplomacy has exposed large gaps between how Washington and Pyongyang view denuclearization, says Melissa Hanham, a senior research associate at the James Martin Center for Nonproliferation Studies at the Middlebury Institute in Monterey, California. 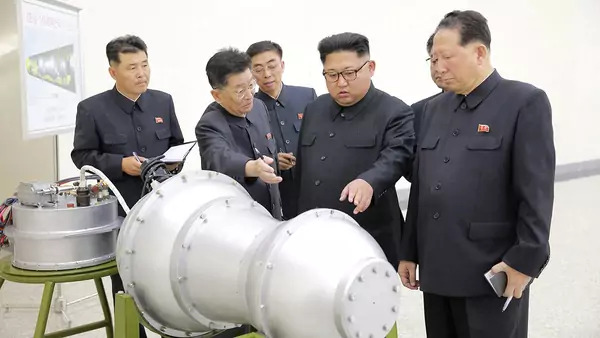 On top of the legal and technical complexities in developing a rigorous inspections regime, Hanham says, past nuclear verification regimes in North Korea have been bedeviled by mistrust. What are the technical steps required for denuclearization in North Korea? It depends on what kind of denuclearization we’re talking about. North Korea’s ideas of denuclearization are different from those of the United States. North Korea believes in the larger idea of denuclearization that is not just North Korea unilaterally giving up nuclear weapons, but instead the whole peninsula. To the regime, this means removing the threat of nuclear weapons against the country. 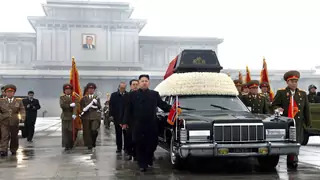 Even though the United States withdrew tactical nuclear weapons from South Korea under the George H. W. Bush administration, North Korea still feels threatened and that is not 100 percent inaccurate. It’s not paranoia, because in addition to former threats to use nuclear weapons to attack North Korea, and the more recent talk of “decapitation” of North Korean leadership, the United States still flies bombers and regularly conducts war games in the region. North Korea feels the exercises are a pretext for an eventual war. Meeting North Korea’s desired outcome would be a long-term process. Meanwhile, the United States focuses on CVID—complete, verifiable, and irreversible dismantlement—and is asking for this to be unilateral. The most similar model for an agreement like this is the Iran deal. However, Iran did not actually achieve nuclear weapons. So, in addition to all the measures incorporated in the Iran deal, any agreement between Washington and Pyongyang would additionally have to include securing existing nuclear warheads. The deal would need to acknowledge the existence of the warheads and have a component that would provide for their dismantlement, turnover to another party, or placement where they would not be deemed threatening. States feel like they have the right to have [warheads], and they don’t want to give away military secrets. On top of that challenge, North Korea has a very advanced missile program. They would also need to negotiate a freeze of rocket production and tests. It is worth noting that a 2012 agreement negotiated by the Obama administration, known as the Leap Day deal, collapsed because of conflicting perceptions. Washington expected the deal to stop all rocket launches but Pyongyang insisted it covered only missile launches. When North Korea launched a space launch vehicle a few months later, Washington believed Pyongyang had abrogated the deal. Is there a timetable for the denuclearization process for a country like North Korea that has arguably reached nuclear weapons capability? In the Panmunjom agreement, North Korea and South Korea expressed the common goal of realizing a nuclear-free Korean Peninsula and described denuclearization as a long-term, sort of staged process. They were looking at an undetermined but long time frame. That is very reasonable because logistically it is complicated to implement a system like this. The U.S. side would like something to happen quite quickly. They are cognizant of Trump’s time in office and want to enter a negotiation process where it would be able to carry out some deal on denuclearization within his administration. Who are the actors that would be involved? During the now suspended negotiating process known as the Six Party Talks, China, Japan, North Korea, Russia, South Korea, and the United States worked together and at many points came close to an agreement, but there were domestic pressures at play beneath the surface. If an agreement ever materializes, Japan will want something related to the return of Japanese abductees held in North Korea. [Japanese Prime Minister Shinzo] Abe also has an election to think about and his larger aspirations for defending Japan and the country’s position in Northeast Asia. In South Korea, Moon [Jae-in] is extremely popular but there are still hawks in South Korean politics who could pull a stunt to disrupt the flow of diplomacy. There are also families [on both sides of the Korean peninsula] who want to be reunited. There are different feelings about North Korea across generations. There are young people who want to know why they are estranged from their “brothers” across the border, but there is also an older generation that remembers the horrors of the Korean War. Beijing didn’t want a nuclear North Korea, but now it has one. What it wants is to make sure that nothing becomes so destabilized that the North Korean state collapses and millions of refugees flow into the country. It would also then lose that famous buffer zone between China and South Korea’s U.S. military bases. In addition, if you believe that a nuclear-armed North Korea makes it feel more emboldened and more provocative, then this is bad news for China, because it will bring more U.S. attention and intervention to the region. Another challenge is if North Korea has a nuclear accident or does an atmospheric test. This seems to be an issue that is followed closely in parts of China bordering North Korea, as there is fear—rightly or wrongly—about radiation. What would a successful monitoring program look like? With any kind of denuclearization agreement, there is a legal part and a technical part. Assuming that the United States and North Korea agree to the most invasive verification methods, you would have an international group on the ground. The International Atomic Energy Agency (IAEA) would probably be asked to do this because it was involved in the Iran deal and ensures safeguards around the world. IAEA inspectors were based in North Korea before Pyongyang kicked them out in 2002 and returned in 2007 to monitor the shutdown of the five-megawatt reactor at Yongbyon, although they too were forced to leave, in April 2009. The best thing is to have humans with sensors on the ground. North Korea is still fairly closed, though it is more open than it has ever been. North Korea would also need to declare all of its facilities. We know about a lot of them through open-source reporting and satellite imagery, but it’s possible that there are a few that we don’t know about that might be declared. And we would have to trust them to not leave out any facilities. This is a challenge because uranium enrichment facilities, reprocessing facilities in particular, are hard to identify with satellite imagery because they don’t have a big visible signature. Questions over the veracity of North Korea’s declarations would likely extend to warheads as well. Warheads are not that big and they don’t have a big footprint. Estimates of how many nuclear warheads the country has require making sense of what fissile material we think North Korea can make and guessing how efficient it is at using that fissile material across different warheads. An agreement should include cameras, all the different seals and tags that are used in IAEA safeguards, and twenty-four-hour monitoring, making use of satellites and other remote sensing technologies to monitor high-risk facilities. This monitoring would be to make sure that, if facilities are operating to generate nuclear power, none of the nuclear material is being diverted. North Korea doesn’t currently use its reactors to generate power, but it has negotiated for energy needs in the past. Some of the trickiest agreements are about warheads because states feel they have the right to have them, and they don’t want to give away military secrets like where, what type, or how powerful they are. To verify a warhead, inspectors need to use what we call an information barrier. This barrier is needed to give the inspecting party the confidence that they have the correct warhead, not a fake or smaller warhead. The host party needs to feel assured that they are not giving away military secrets. What kind of challenges might an inspections regime face in North Korea? North Korea is still fairly closed, though it is more open than it has ever been. Still, we don’t know much about North Korea’s intentions and intentions can change. This process will most likely look like a freeze rather than dismantlement, so it will be imperative to maintain trust. Unfortunately, none of the parties trust each other very much, and North Korea has a history of kicking out inspectors and reversing course. To make denuclearization truly irreversible, you would want to look at how the facilities are taken apart and how warheads are dismantled. So far, North Korea has been pretty cagey on those sorts of things. It reportedly collapsed the tunnels at the Punggye-ri nuclear test site, but North Korea probably doesn’t need to test anymore anyway. Instead, attention should be focused on dismantlement and preventing the production of additional warheads, missiles, and launchers. Last and most importantly, the parties must agree. We can design an extremely invasive CVID process, but North Korea will just walk away unless it believes it is in its best interest.